Since IEEE 802.3ba 40GBASE-SR4 and 100GBASE-SR10 were ratified in 2010, many have looked to 24-fiber connectivity as the ideal migration solution in the data center. Using 24-fiber cabling throughout an entire channel provides extra flexibility, as users can easily migrate from 10G to 40G or 100G by simply swapping out the connectivity at the end of the channel. Pre-terminated cabling using 24-fiber connectors provides double the density of 12-fiber cabling in the same footprint, reducing the cabling required, allowing for fewer cable pathways, and improving airflow in data centers. With the growth of 24-fiber MPO/MTP solutions, some confusion and misinformation has emerged within industry circles. Especially, the differences between 12-fiber and 24-fiber MTP/MPO connectivity. The current IEEE 802.3ba 100GBASE-SR10 standard defines 100GbE using 10 lanes of multimode fiber at 10 Gb/s. Progress has indeed been made in delivering 100 GbE over fewer lanes, and the IEEE 802.3bm task force is developing a new standard that would use 4 lanes of multimode fiber at 25 Gb/s per lane. This 4×25 solution would only require 8 fibers (4 transmit, 4 receive) — the same as the current 40GBASE-SR4. 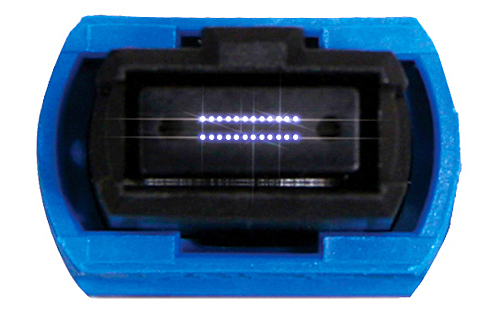 That means a 12-fiber MPO/MTP connector can support a single 100G channel. 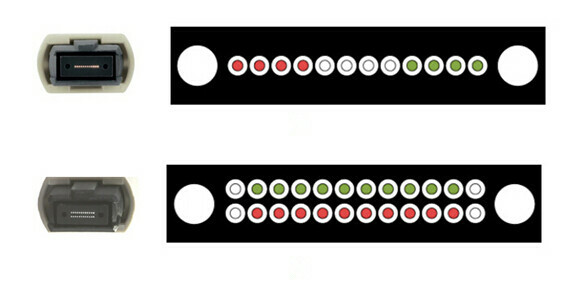 However, a 12-fiber connector for an 8-fiber channel is inefficient, as 4 strands in the 12-fiber connector are not used. Alternatively, by using a 24-fiber MTP connector in the horizontal cabling, it can then be converted into three 8-fiber 100G channels that run over one cable, with all 24 fibers used to support traffic. Let’s look at another example. Say you need to support twelve 100GbE channels using the next gen 4×25 Gb/s standard. With the 12-fiber MPO/MTP connectors, you would need to install 12 connectors, or 144 fibers total, with 33% of the fiber wasted. However, when supporting the same 12 channels with 24-fiber connectors, only 4 cables would be required, using 96 fibers total, at 100% fiber utilization. The 24-fiber MPO/MTP channel solution allows the use of the ratified 100GBASE-SR10 20-fiber technology today, while at the same time maximizing the installed infrastructure investment in the event of 4×25 Gb/s ratification and ultimate implementation. Choosing a 12-fiber connector strategy simply does not accomplish this. It drives down return on investment and subsequently increases the total cost of ownership. This is the exact opposite of the design intent of a data center infrastructure system. Insertion loss is a critical performance parameter in data center cabling deployments. Lower overall optical loss allows more margin for the network to operate, or in the case for some users, offers the option of more connections for patching locations. The IEEE 802.3ba 40/100GbE standard specifies OM3 fiber to a 100-meter distance with a 1.5 dB total connector loss budget. OM4 fiber for 40/100GbE is specified to a 150-meter distance with a 1.0 dB total connector loss budget. As total connector loss increates, the supportable distance at that data rate decreases. However, with the current trend of moving to distributed access/aggregation data center switch strategies such as Top of Rack (ToR), the prevalence of backbone lengths exceeding 100 meters is dramatically decreasing. Some have mistakenly claimed that higher fiber count leads to higher loss, and one cable vendor pointed to a “typical” loss of 0.5 dB for 24-fiber connectors as evidence. In fact, the industry standard product rating for MPO/MTP connector performance of both 12-fiber and 24-fiber is 0.5 dB maximum. When using proper polishing techniques, 24-fiber MPO/MTP terminations can meet the same performance levels as 12-fiber assemblies. Improved performance can be achieved using low-loss ferrules for both 12-fiber and 24-fiber MPO/MTP connectors rated at 0.35 dB maximum. As explained above, the ability to achieve the same performance in both 12-fiber and 24-fiber MPO/MTP assemblies, coupled with the clear migration advantages of using 24-fiber based components, creates a compelling argument for making 24-fiber MTP the connector of choice. We also understand that many aspects of data centers are unique to each client, designed around not just “cable and connectors”, but also inclusive of variables such as facility purpose and administrative styles. Any vendor is well advised to listen to the client and view this complex environment as a total ecosystem—inclusive of many external drivers. This is why Fiberstore also offers a full end-to-end 12-fiber MTP solutions alongside our 24-fiber end-to-end solution. We believe that providing options to our clients is paramount to meeting their unique needs.